Certain restaurants in Montreal are what one would call institutions. As a local Montrealer, these are places that you should get to at some point because to miss them is to miss out on experiences that are part of what makes Montreal special when it comes to food. Schwartz’s, Moishes (eventually in my case), Laurier BBQ before the Ramsey fiasco, St-Viateur and/or Fairmount bagels (depending on where you side on that debate but that’s a story for another day), etc…. In the end, you may leave slightly underwhelmed because your experience couldn’t possibly match up to the hype but regardless, they are places that you must experience for yourself. Beauty’s is such a place. A staple of Montreal since 1942, they have been owned by the same family the whole time and have been serving up breakfast in Mile End ever since. Any day of the week you pass by, you will see a line-up outside. On this beautiful thanksgiving weekend, before heading to watch the Alouettes sadly get beat at Molson Stadium, I finally got my chance to visit Beauty’s with some friends for a little late breakfast. 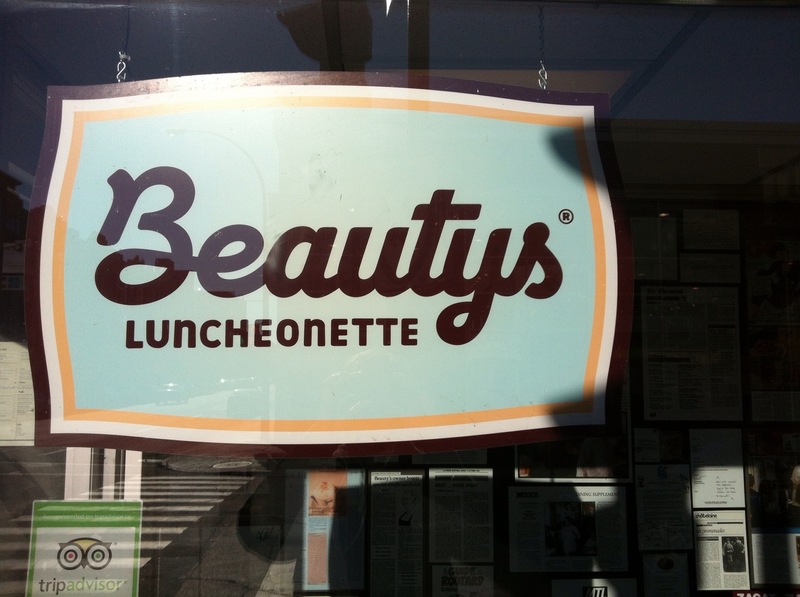 Beauty’s is known for their special – cream cheese, smoked salmon and onion on a bagel. However, I am not much of a fan of smoked salmon so I chose to go with the Beauty’s basic – two eggs, home fries, one meat with a bagel. 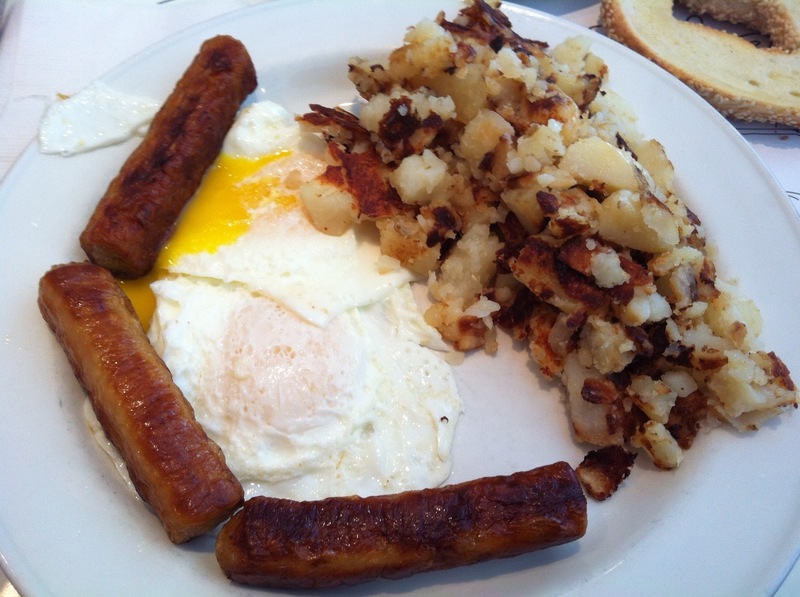 A simple dish but one that must be spot on if you are worth your salt as a breakfast place. Very good overall. The home fries in particular were quite delicious. 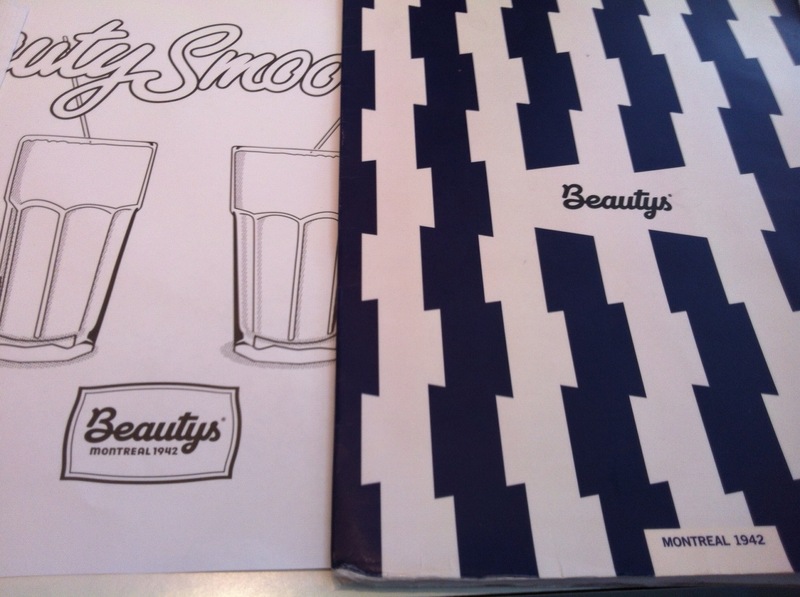 To that, we originally ordered some latkes and I took a Classico Beauty’s smoothie. However, they had run out of latkes by the way we got our order in. So just the smoothie would have to do. 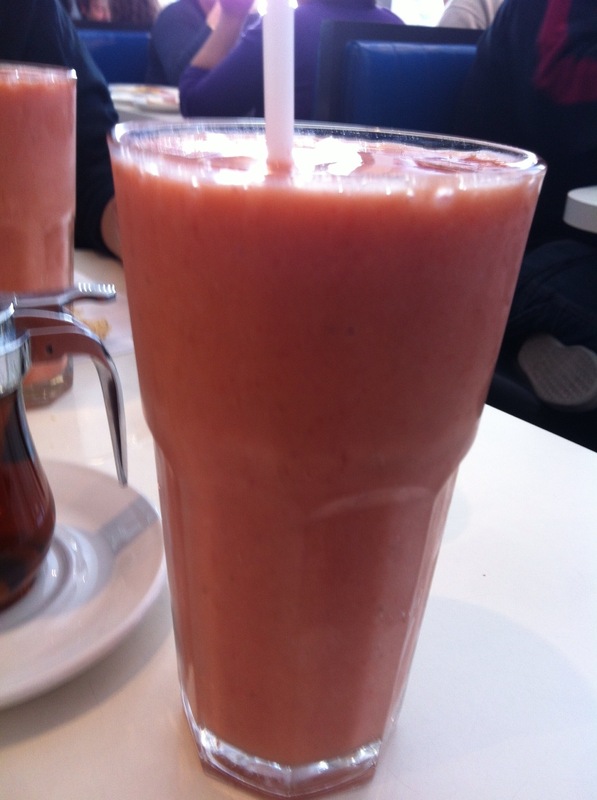 Strawberry, banana and orange juice – simple but classic. A nice thick consistency and very delicious. The perfect complement to a nice breakfast. Is it a earth shattering breakfast? Not exactly. But it is a Montreal landmark that serves a very good breakfast. The place looks exactly like what you think it would – a diner that has been going since 1942. It has a wonderful old fashion feel that I absolutely love – right down to the owner greeting you at the door and joking with you as you wait for your table. You may want something more unique or different for breakfast but that’s not Beauty’s and that’s fine. They simply do a damn fine breakfast as they have been doing since 1942. For that reason alone, you need to check it out. I waited way too long. You don’t have to make that same mistake.